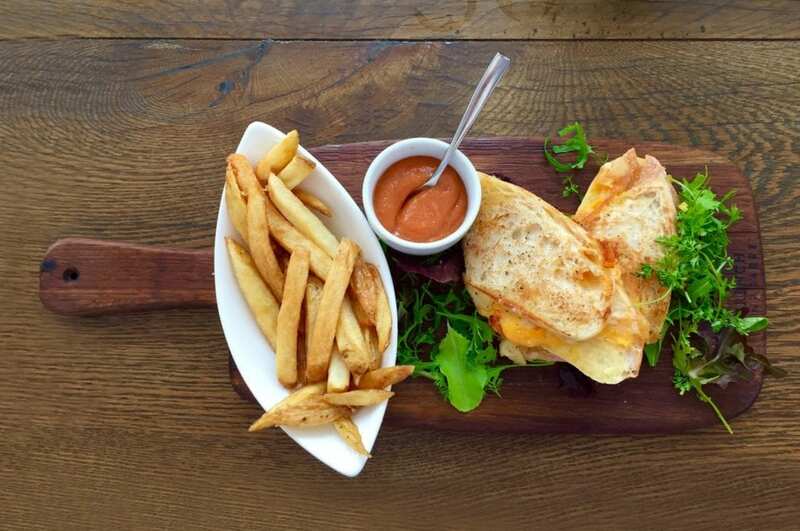 You don’t have to go too far for great restaurants and food right here in Sunset Beach. Nearly all of our restaurants are within a couple block radius on the intracoastal waterway along Sunset Boulevard north. But what are the best places and what should you get? Whether you are a new be, local, or visitor, here’s some of our favorites. 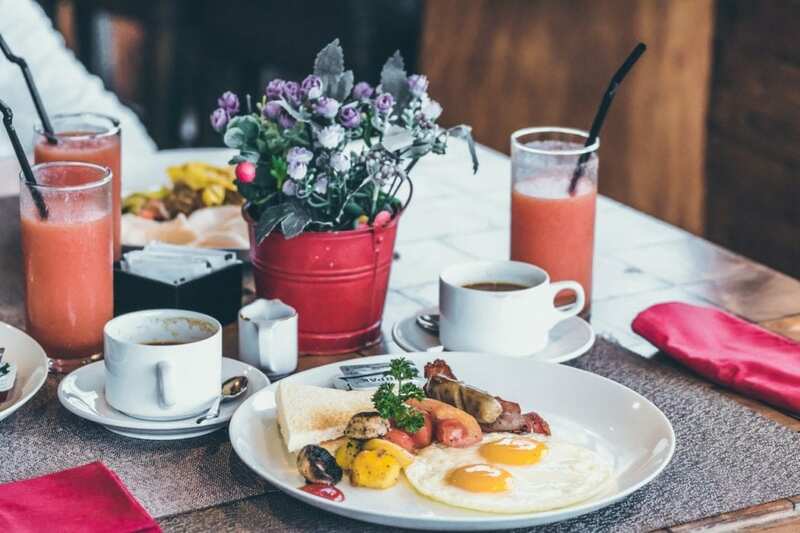 Mavericks Java – located at 303 Sunset Boulevard north, this is the perfect place for brunch or breakfast or maybe just a great cup of coffee. If you’re looking for traditional omelettes, pancakes, and muffins, this is your comfort stop all week long. But, if you need something on the go, their breakfast sandwiches are great as well. They’re open every day of the week until 2 PM and if you need a good blended iced coffee, freshly brewed decaf, or foamy cappuccino, stop into Mavericks Java. You can also pick up a box of their coffee cakes, desserts, or muffins for a little snacking at home. 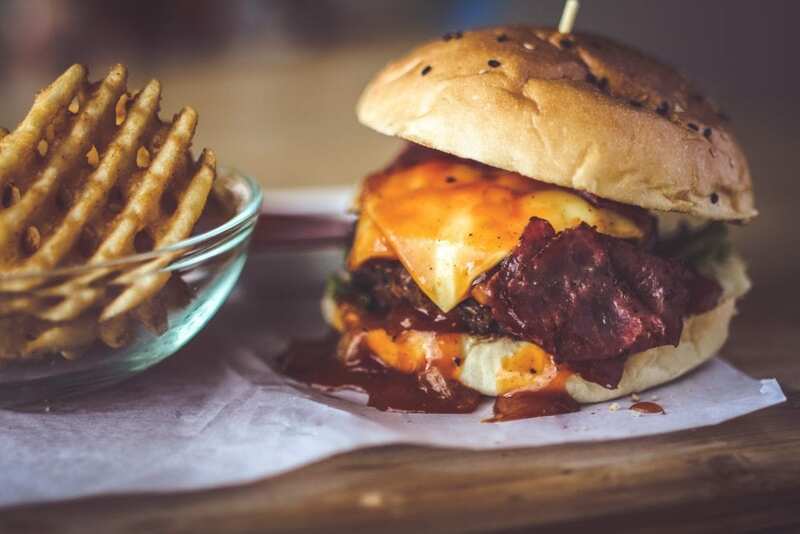 Simply Barbecue – located at 3240 Holden Beach Rd., which is the only one located outside of town but well worth the mention, is one of the best barbecue spots around and it’s a food truck, so you never know where they may end up. Technically they are a food truck but are primarily located next to the BB & T branch on the Holden Beach Causeway near to the entrance of the Harbour Island minigolf. Some of our favorites include the smoky ribs, baked beans, and spicy potato salad. Make sure you get an apple crisp on your way out and their sauces are both vinegary and sweet depending on how you like it. We love brisket so we often will stop in for a pound of brisket and simply take it home to munch on all week long. Crabby Oddwaters – located at 310 Sunset Boulevard this tried-and-true local place has been here for decades. If you want true waterfront dining and Sunset Beach, this is it. While many places boast a farm to table mantra, Crabby’s is from ocean to plate. For a taste of true seafood check out some of our favorite dishes at Crabby’s including the Crabby Oddwater combo including salmon, shrimp, and scallops served with olive oil and fresh herbs. Of course, we usually don’t miss the she-crab soup in a velvety cream based sauce with Sherry. If you’re going to share something, check out one of their buckets, which comes with corn, potatoes, sausage, and butter. And for something truly unique, there softshell crab sandwich with occasional remoulade is amazing. Fibber McGee’s – This local favorite is found along Sunset Boulevard up on the corner of Seaside Road. If you’re looking for some good old-fashioned Irish pub fair, this is great. We love it when it gets sunny and warm outside so that we can sit alfresco and enjoy a plate of their nachos, Ruben spring rolls, fried green tomatoes and their delicious slow roasted prime rib sandwich. These are just some of our favorites but if you’re into seafood, they make amazing shrimp tacos and a salmon BLT. Of course, you know they have your favorite Irish draft ready to serve up. Sarah’s Kitchen – located at 1649 Seaside Rd. SW. unit 7, this beach café is a perfect spot for breakfast Monday through Friday. 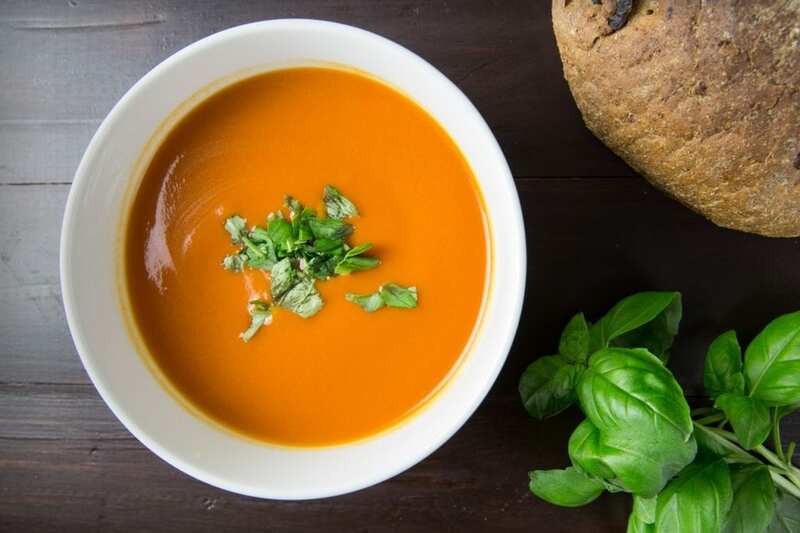 They have huge homemade biscuits, lunch specials, and comfort food favorites such as grilled cheese and tomato soup, meatloaf with mashed potatoes and green beans, or a bowl of homemade broccoli cheddar soup. 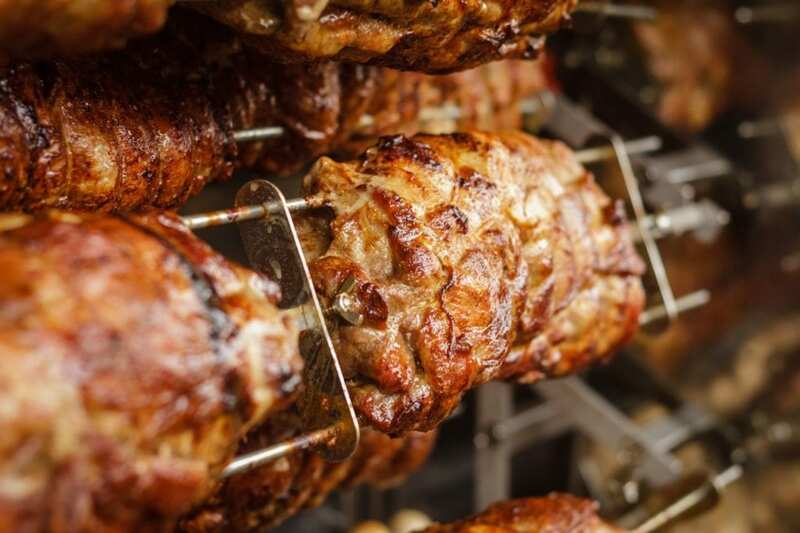 When we want some traditional home cooking, Sarah’s is where we go. Will there you have it, some of our favorite restaurants around Sunset Beach and what to eat when you’re there. Have you eaten at any of these places? What were your favorites? We’d love to hear your thoughts in the comments below. Sunset Beach draws in a unique crowd of homebuyers, some of which are looking for fabulous designs, beautiful layouts, and sprawling lots. Whether it’s a five-bedroom waterfront property, or a seven bedroom Southern estate, Sunset Beach offers a little something for everyone. But for those in the high-end market, here are the top three most expensive homes currently for sale in Sunset Beach. 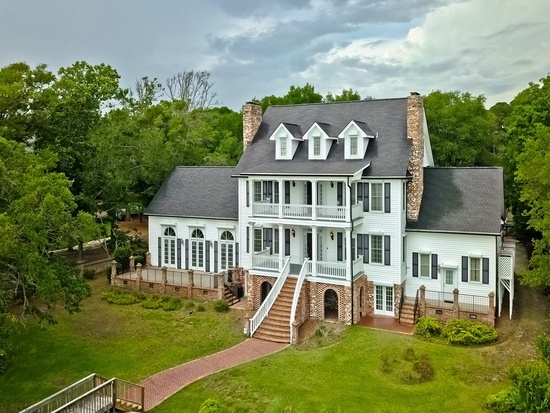 Located on a private, gated, grand estate with beautiful water views is a five bedroom and five bath home with just over 7000 ft.² of living space on the Intracoastal waterway of Sunset Beach. This unique home looks like it’s practically right out of Gone With the Wind and offers such a unique living environment and the lifestyle it will be tailored to the next custom buyer. This home is listed at $1,349,900. Click on the image to go to that listing. The second listing is for a five bedroom, and six bath home with just over 3000 ft.² of living space located right on the bay. 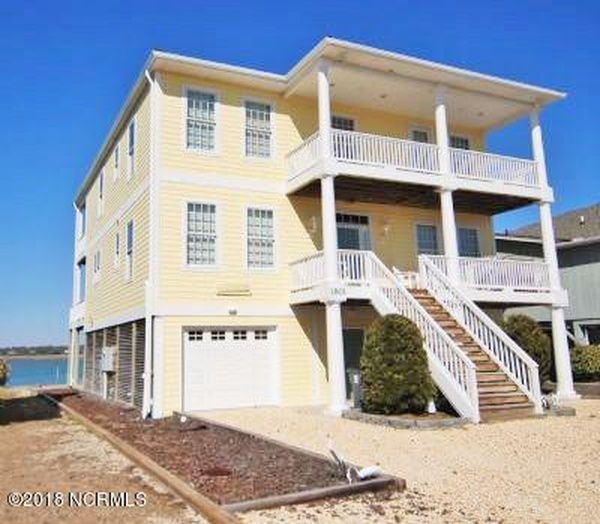 This home has been furnished and offers the size of a luxury home right on the water. It was built in 2006 and provides 8 parking spaces on a 6100 square-foot lot right on the water. This home is priced at $1,390,000. And finally, priced at $1,525,000 is a beautiful six bedroom and five bath home with over 5300 square feet of living space right on the water. Enjoy spectacular sunsets and sandy beaches in this luxury home being sold completely furnished. The home is full of builder upgrades and professionally decorated, staged and design with quality materials and finishes. Want to see any of these homes in person? Give us a call! If you’re like me, you’ve probably waited to Christmas shop down to the last minute, and I’m always looking for unique gifts and local favorites for friends and family, especially those that don’t live around here. So, I thought I would put together a list of my favorite local shopping spots around Sunset Beach. Sunset River marketplace – this huge gallery features work by local and regional artists from both North and South Carolina. Things are always changing and you can usually find something unique that is special to our area. The marketplace is located at 10283 Beach Dr. SW., actually in Calabash, just minutes outside of Sunset Beach. The Villages at Sunset Beach – located at 790 – one Sunset Boulevard north, this is probably the most common shopping spots in Sunset Beach. It offers a variety of shops and over 85,000 ft.² of retail space with restaurants, commercial space, and boutiques. 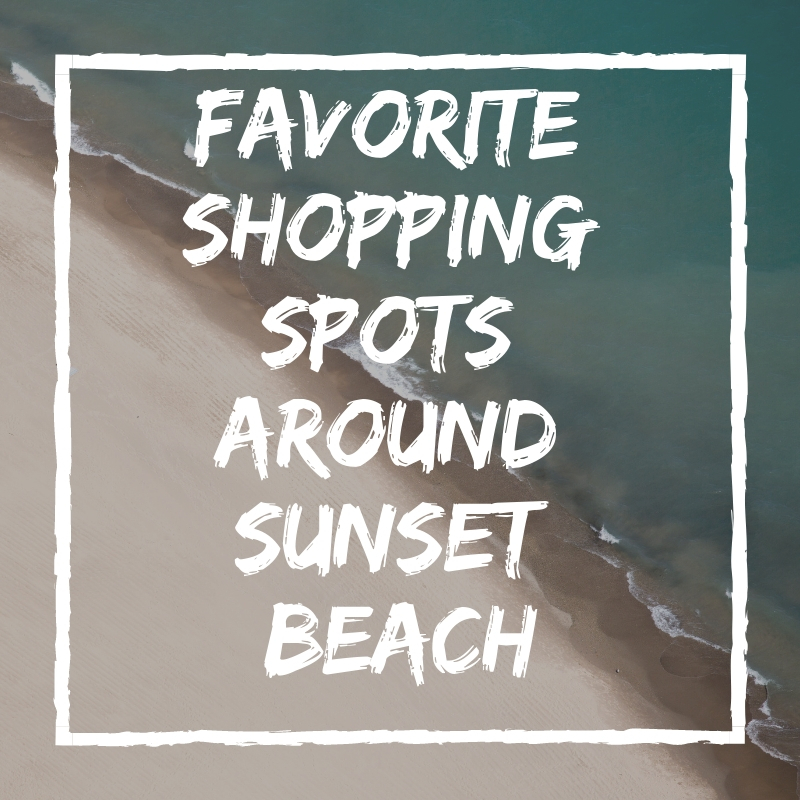 They have your classics like the ABC Store, Galleries, Thrift Stores, Food Lion, Ocean Presence Gifts, Pelican Bookstore, and Beachwear. 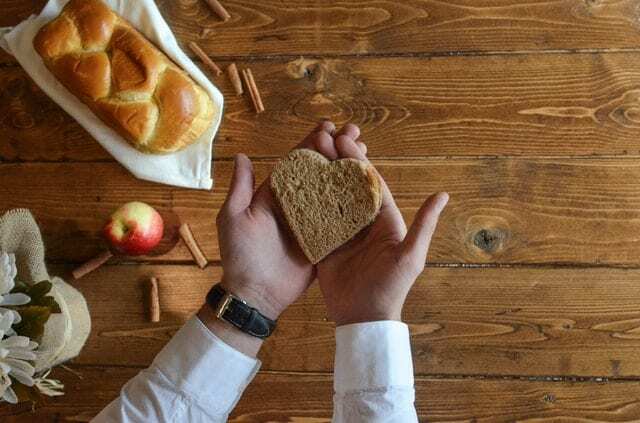 There are a few dining options such as the Back Street Café, La Cucina Italiano, and Subway so you can re-energize on your day out of shopping. Callahan Gifts – located at 9973 Beach Drive in Calabash, this 35,000 square-foot gift shop offers Christmas decorations, handmade jewelry, nautical gifts, unique T-shirts, homemade fudge, dishes, and more. This is usually where I go when I need a unique gift and I have no idea what I’m really looking for. Vivi’s by the Sea – Located at 6934 Beach Dr. SW. Suite 1 in Ocean Isle Beach, this unique shop features coastal and cottage decorations, furniture, jewelry, and a wealth of unique gifts and items you won’t find anywhere else. If it’s not a cool stuff you’re looking for, check this one out. The Polished Patina – located in North Myrtle Beach South Carolina at 860 Highway 17 S. Suite D is another unique gift location with nautical items, rustic and distressed home furnishings, and a set of items you won’t find anywhere else. From kitchens and coasters, to candles, lanterns, and vases, this beautiful shop is definitely on my list for farmhouse, beach, industrial, and vintage items. The Sunset Trading Company – located right back in our home town of Sunset Beach at 423 Sunset Beach Blvd. is the Sunset Beach trading company featuring sporting goods, accessories, unique gifts, T-shirts, and more, and don’t forget to check out their delicious ice cream and frozen yogurt while you’re shopping. I hope this is given you a little bit of inspiration to get those last-minute gifts taken care of. From our house to yours we wish you a very Merry Christmas, Happy Hanukkah, and a happy holidays all around. For starters, I am very thankful that we were able to survive and recover from the hurricane season this year. It’s been a stressful year but there are still many things to be thankful for. Nothing beats the beautiful and amazing beach in North Carolina. Our Intracoastal waterway’s, gorgeous sunsets and sunrises, and are beach lifestyle is something to be grateful and thankful for and I love every single day waking up to this a beautiful part of the country. I know that there are other beautiful parts in this nation, but I love Sunset Beach so much. #2. A warm home – or cool one. Maybe you are thankful for air conditioning in the summer, or a cozy fireplace in the winter. Whatever the case may be, I am thankful for a home over my head. I am thankful that we have shelter, someplace to hang our hats, a soft place to come at the end of the day, in a beautiful place to grow our family. I have talked to so many people who feel that follows their favorite holiday. The leaves are changing and we have a kaleidoscope of greens, yellows, oranges, and browns dotting the hillsides. It really is a beautiful way to transition into winter. It’s a little bit breezy, a little chilly, but that just means that fire pits on the beach are now in season. When you truly understand how blessed you are with friends and family even if it’s just a few close people, it truly makes you grateful for your life. Whether it’s having a couple people over for dinner or a large get-together and fall campfire with s’mores, hot chocolate, and apple cider, I am very blessed to have friends and good family in my life. Even when it seems like the entire world around us is falling apart and people are arguing over everything, sometimes I just have to center myself and be content with the peace I have in my own being. I’m not trying to get all new-agey on you here, but sometimes we just have to turn in and shut out all the external noise. Are we fighting against ourselves or with other people? Sometimes we have to be grateful for the peace that we have to look for inside of ourselves and be content and satisfied. There’s a balance between being content and satisfied and striving for improvement. If we’re constantly looking for more we can’t be satisfied and happy with the here and now. It’s a balance and constantly working on and myself and I am thankful for that ability to work on it and the peace it brings. From our family and friends to your home, we wish you a Happy Thanksgiving and a wonderful holiday season. Planning a day hike? There are a lot of beach hikes in Sunset Beach and Bird Island to explore and most of them are pretty tame, at no more than about 3 miles. This 18-mile off-road trail is perfect for hiking, walking, or biking and it’s handicap accessible. It parallels the Ocean Highway and Kings River Road and is considered easy. 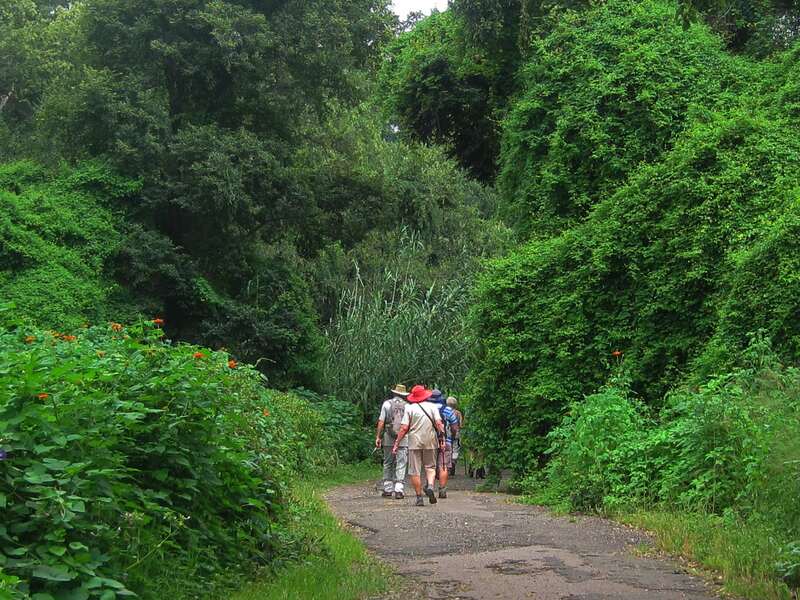 On the trail, hikers can access the Huntington Beach State Park and the Brookgreen Gardens. Parking is available at the Morse Park Landing and Murrells Inlet as well as the Huntington Beach State Park. However, if you park at the state park there is an admission fee. This park is located in Myrtle Beach and is a 5.2 mile, asphalt trail perfect for hikers, walkers, and bicyclists. It’s actually part of the 3000 mile East Coast Greenway system and because there’s no designated trailhead, you can park in any of the commercial areas along the Parkway. Park at 40th St. and W. Main St. in downtown Sunset Beach and you’re right at the park entrance. This is a beautiful bird reserve with beautiful sandy beaches, high natural dunes, and more than 1200 acres of beautiful salt marsh and title creeks. You can wander around or take a bike on some of the paths or even sign up for one of the guided educational walk’s at 8:30 AM every Wednesday from June through August. The further you walk down you might even run into the mailbox labeled “Kindred Spirit”. This unique landmark has been used by visitors to express their hopes and dreams or just to share a positive note. This open ecological, 15,000-acre treasure has beautiful trails where visitors can enjoy rare plant specimens, endangered wildlife, and unique extensive populations of carnivorous plants including the Venus flytrap and the pitcher plant. To access, visit the Southeast Coastal Conservancy at 2807 Market St. in Wilmington. This large wetland makes up over 6000 acres of landscape to explore. There’s a lot of recreational activities and the trails are perfect for biking, or just taking in the wildlife and the rare wildflowers. Don’t forget! If you’re buying or selling Sunset Beach real estate, contact our team or browse more local posts and general tips on our blog.